For over 30 years the Pasadena Roof Orchestra has prided itself on breathing new life into the music of the 1920's and the 1930's. For over 30 years the Pasadena Roof Orchestra has prided itself on breathing new life into the music of the 1920's and the 1930's. Their music and entertainment value has generated many radio and television appearances in the UK and across Europe. The Orchestra recorded for the German film production The Comedian Harmonists. When the PRO sounded its first chords, its musicians were a collection of enthusiasts, bringing together their off-beat interest in a kind of music unheard of for 40 years. Today's band is a little different. Each musician boasts a track record, in addition to their love for the music. Above all, this is a young, vigorous and exciting band. 16 albums and 26 years of touring means that the PRO has played in all sorts of places, all over the world, from famous concert halls to smoky clubs, before royalty and star names. The Orchestra knows how to put on a show, to amuse and entertain. Hollywood panache, a rare commodity, is its stock-in-trade. The PRO performs on the best concert stages, such as the Queen Elizabeth Hall and Fairfield Halls, London, the Hamburg Musikhalle, the Berlin Schauspielhaus, as well as clubs, such as Ronnie Scotts. They continue to tour the World, from Hong Kong to the United States. 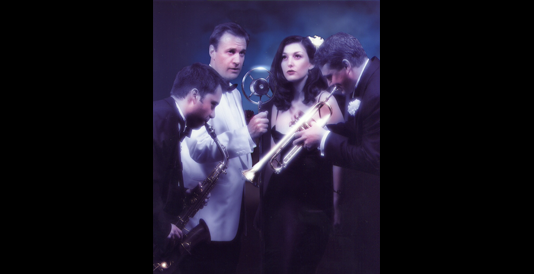 More significantly, the PRO has earned a reputation for its entertaining band show, which combines hot jazz, early swing and sublime dance melodies with novelty tunes and comedy routines. As US critic Scott Yanow wrote, "The PRO presents a fun concert with the emphasis on superior hot dance tunes of the era....The authentic sound of the band, the superior repertoire and some inspired humour make this a delightful show". So where does the music of the PRO fit? It isn't pop. It isn't contemporary jazz, though its roots lie in jazz and dance music. It isn't classical. Yet it draws on the past for all of its material; a classic jazz repertoire from Duke Ellington, show tunes from Gershwin, Porter, Berlin and Kern which have become standards in their own right, as have songs from Ray Noble, Hoagy Carmichael and a host of famous names. In its way this is the classical music of the 20th Century. Listen to the sounds that boiled out of New Orleans, New York and 20's Europe. Enjoy the growling trumpet, the muted trombone, the wailing sax and the clarinet glissando rolling together over the chonk-chonk of the rhythm section. Observe the spot light, sharp-focused on the elegant vocalist at the microphone, crooning "Whatever hearts may desire/Whatever fate may send...". You'll also hear Paddlin Madelin' Home and Me and Jane in a Plane. The mood rises as Cotton Club Stomp begins to heat the atmosphere before the supercharged strains of Cab Calloway's Minnie the Moocher brings the house down. Diversity is our watch word. Is it all nostalgic recreation? Not if nostalgia is merely a wistful, sentimental yearning for times past. This isn't slavish recreation, with hushed tones and straight faces. What the Pasadena Roof Orchestra vividly captures is an atmosphere, a mood which is stylish and elegant, yet forceful and vivacious; above all, life-affirming and fun.